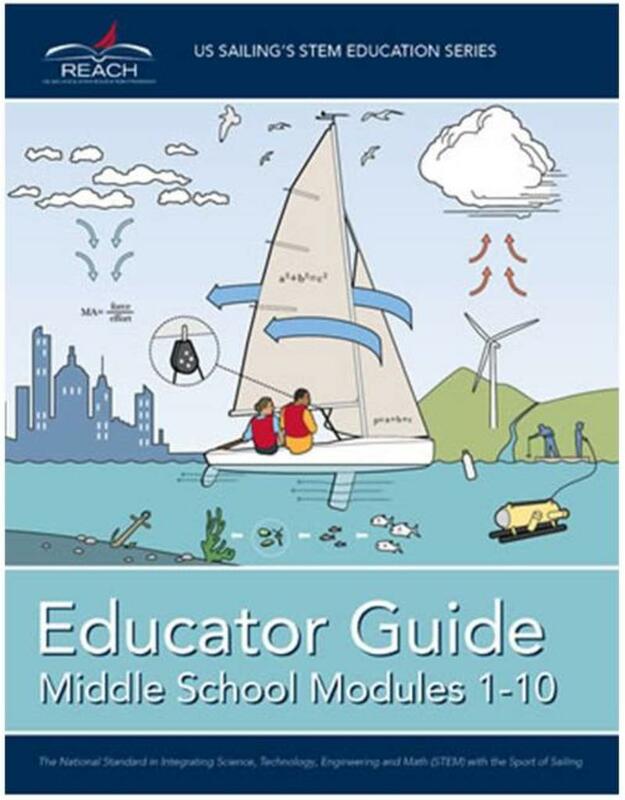 New- Reach Educator Guide Middle School, Modules 1-10 version 2.0 is your complete teacher and sailing instructor guide to engaging youth in STEM and the sport of sailing! Version 2.0 includes new edits and revisions from the version 1.0 launched in 2013. Significant changes were made to Module 7: Upwind Sailing, Module 8: Land and Sea Breezes (now includes reading surface weather maps), Module 9 Wind Power, and Module 10. Topics covered include: Measuring Wind, Buoyancy, Simple Machines, Sail Area and Perimeter, Water Quality Testing, Marine Debris and more. All Reach modules are correlated to the national education standards in math and science for middle school. 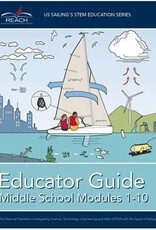 Have students join the 100,000 + youth that participate in US Sailing’s Reach modules annually.